Our people still affirm their will of salvation, accumulating achievement after achievement and writing history with their faithful spirits so that our nation could take its place among nations and civilizations. The right does not get lost if there are people demanding it. We, the inside-the-prisons National Movement, have met to formulate a plan to fight back and address the unprecedented assault that aims to steal all our rights and the gains that we have paid dearly to achieve over the years. In our first statement in 2019, we affirmed that we are facing a real and organized war led by the Israeli occupation which is using all its arms to wage this war against us. 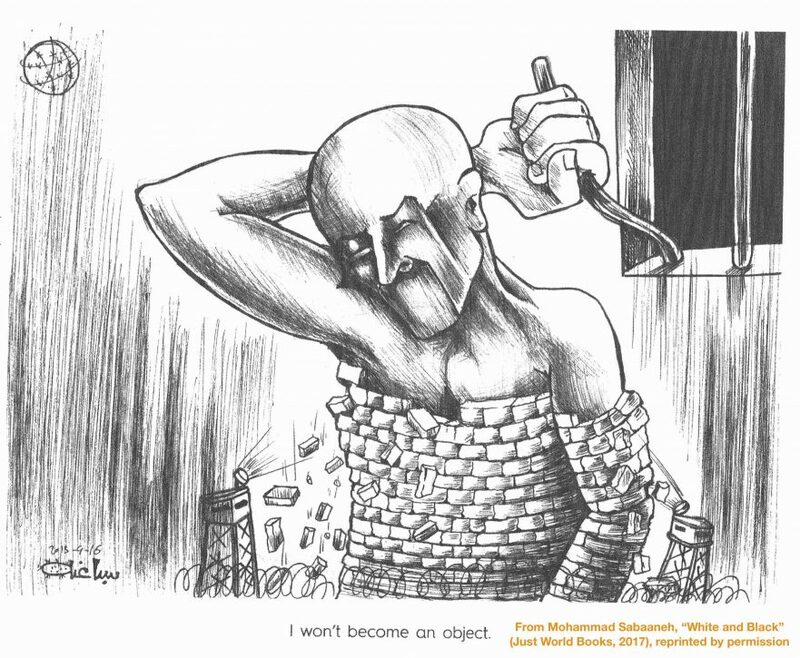 This campaign began by withdrawing the rights and achievements won by prisoners by breaking into sections and through the suppression of prisoners which resulted in 150 injuries at the Ofer Prison. This was followed by the installation of jamming devices in Section 4 in the Negev prison, which rang an alarm putting our lives at risk. We tried hard and in different ways to address the matter with the Israeli Prison Service, but without achieving tangible results, as the jailers continued their arrogance following transferring prisoners in section 7 at the Ramon Detention Hospital to Section 1 and installing jamming devices there, suppressing our brothers and brutally assaulting them, which resulted in more than 50 injuries, after the prisoners decided to burn all rooms as a defensive step to protect their lives from the slow death of these jamming devices. At this stage, we informed the jailers that this criminal act will change the nature of dealing with them and that the blood that was spilled from our brothers will be answered by the same manner where prisoner Islam Kefahi took the initiative to end this injustice and stop this oppression against our brothers to keep their dignity, drawing a new line for the occupation in its battle of wills against us. This is where our enemy realized that it had misjudged the situation and realized that the demand we held up was a fact and that we were not ready to negotiate our own dignity. In the context of these events, we prepared a comprehensive plan for starting an open-ended hunger strike known as the battle of Al-Karama (dignity) 2, which began on April 8, 2019, which saw the entry of the leaders and representatives of the prisons’ dialogue committees into the strike. The dialogue between the prisoners and the IPS began on Sunday April 7, 2019. In light of the arrogance of the Israeli occupation, we announced the start of the battle of Al-Karama 2 on Monday April 8, 2019. 1. Starting a dialogue with the IPS to win our rights. 2. Expanding the scope of the hunger strike whenever necessary. The dialogue was resumed on Tuesday April 9, 2019 based on the aforementioned principle. Having an internal consultation among prisoners was our principle. All the detainees participated in the decisions and the atmosphere of the internal dialogue was clear. A. We send words of loyalty and gratitude to the blood that spilled at the Negev Desert Prison in our homeland of brothers in Section 4 and Section 1 of the Ramon Prison. These great sacrifices taught us that freedom and dignity are the basis of virtue and that it is a human right that cannot be denied. B. We highly appreciate the inherent position of the people of Gaza and its leadership who revealed the unity of our shared destiny, which appeared in their actions and linking all understandings of the current stage with the Israeli occupation with our just cause. History will not forget these positions of life during moments of death, and words fail to express or pay this favor to them. C. We thank our people in the occupied West Bank, the Occupied Homeland, our people in the Diaspora and the free people of the world, who supported us at times of retreat (by some). D. We recommend that all our people and nation support the Palestinian resistance, which gave us its sword when we were under the arrogance and aggression of our enemy on the night of the massacre of the Negev Prison. The response was clear from Gaza with pride, hitting the heart of the Israeli entity. We, on behalf of all the prisoners, salute our brave resistance which protects our Palestinian national project as well as the oppressed and the weak. E. We thank our Egyptian brothers for their leading role in supporting the issues of our Palestinian people and working to lift injustice imposed on us, and their position will be remembered in our history. F. We declare reaching an agreement with the IPS to achieve our goal of removing and neutralizing all jamming devices, and for the first time in the history of the prisoner movement, allowing detention centers to install a public telephone in all prison sections, wherever there is a Palestinian prisoner. G. Restoring imprisonment conditions in all sections of detention centers to what they were prior to February 16, 2019, which is the date of the beginning of the events that accompanied the installation of jamming devices as well as imposing extensive punitive measures against us. H. We managed to achieve a number of basic humane demands that impact the lives of prisoners, especially isolated prisoners and their departure from isolation. I. We will monitor the behavior of the occupation and we are in a state of readiness to implement what was agreed upon as we don’t trust the IPS and there is no place for good intentions and actions on the ground will determine our decisions. The battle is not over yet. The most difficult stage is the implementation of what was agreed upon. Do not stop your support and this what we trust you will keep doing. We salute NGOs and bodies working for the issues of prisoners and all local and international media bodies for their pioneering and leading role in conveying our hopes, alleviating our pain and exposing the crimes of the Israeli occupation against us. Our great people, we have the right to be proud for belonging to you. Our country will continue standing as long as you are there defending it.